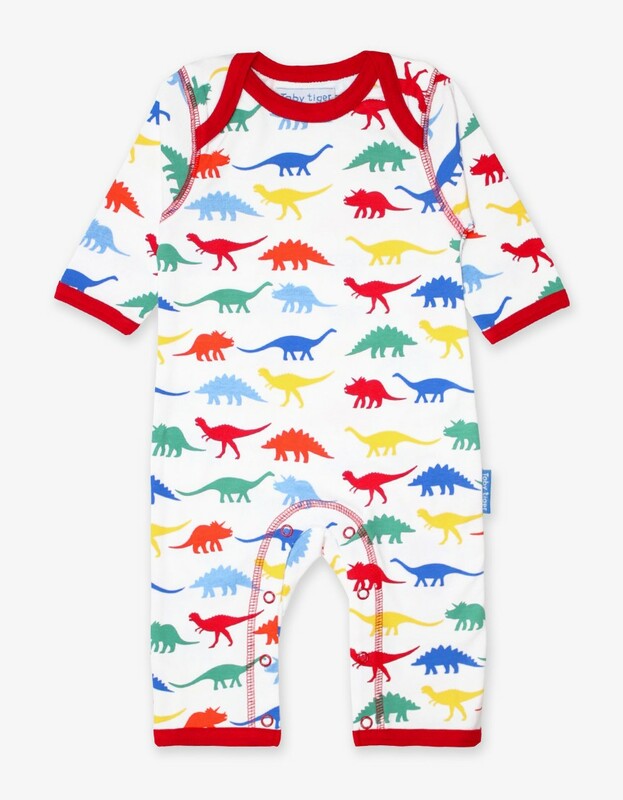 This Dino sleepsuit is perfect for stomping around the house in! 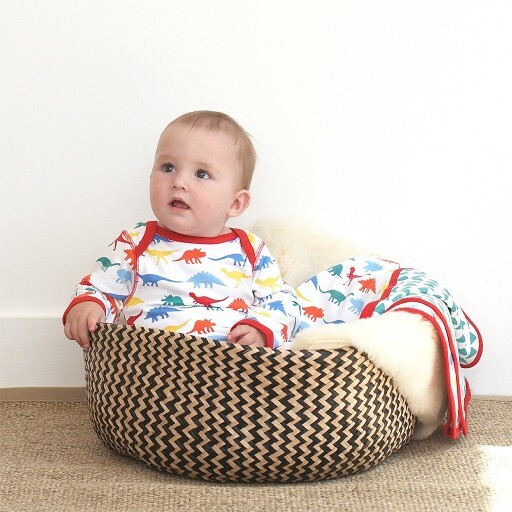 Baby will be comfy and snug and get to learn about some of Earth’s coolest creatures at the same time – win win! All of our baby rompers are made from 100% GOTS certified organic cotton; no chemical nasties, great for delicate skin – and they’re extra soft too. Our roomy sleepsuits come in sizes suitable for babies from 0-12 months and features an envelope neckline and popper leg fastenings to make nappy changing a breeze.